On any wedding day there are sure to be many tears to be shed. Our White Lace Embroidered Any Name Handkerchiefs is the perfect gesture for your bridal gifts when the weepy moment of happiness occurs. 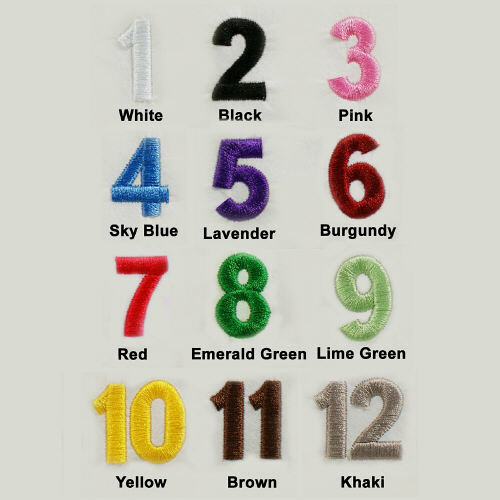 Our Any Name Embroidered White Handkerchief are available on our 13"square Crochet Lace handkerchief. Soft to the touch. Machine Washable. Includes FREE Personalization! 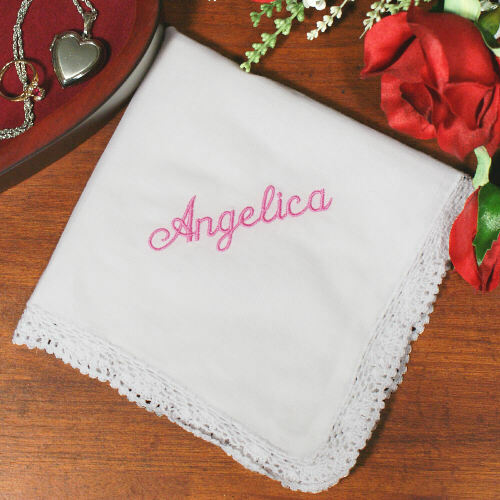 Personalize your Wedding Handkerchief with any name (ie. Angelica) and Thread Color.